Established by Irishman, the late Ernie Hunter in 1979, Hunter’s is one of New Zealand’s best known wineries and a recognised pioneer of the Marlborough wine industry. 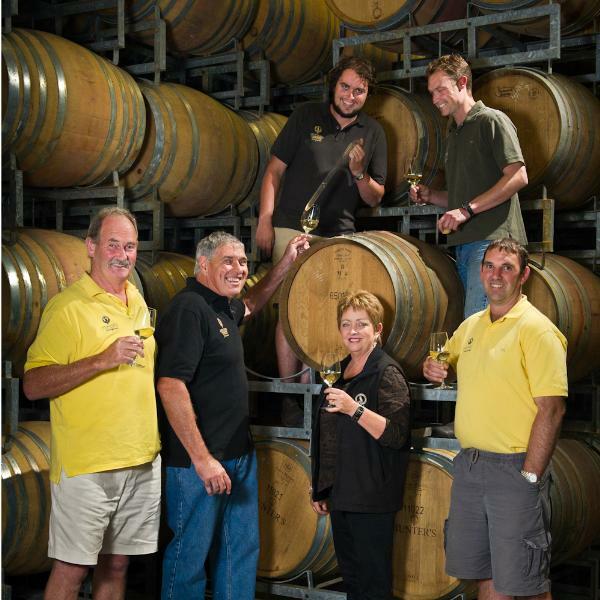 Led by the ‘First lady of New Zealand wine’ Jane Hunter CNZM, O.B.E, Hunter’s have the reputation of consistently producing the highest quality wines year after year. Through Jane’s determination, the talents of Chief Winemaker Gary Duke and dedication of General Manager Peter Macdonald, Hunter’s classically styled, elegant wines continue to accumulate awards and creditability around the globe. Come and meet our friendly team that will relive more than 30 years of Hunter’s history with you. All while enjoying the award-winning wines the world has come to know. While you are here, visit the artist in residence and his studio, and take a stroll through the award winning native garden.